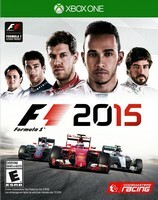 F1 2015 can be found on the Playstation 4, Xbox One, and Personal Computer. Family Friendly Gaming rented F1 2015 on the Xbox One for this preview. Hopefully I can get a review in issue #100 of the always awesome Family Friendly Gaming magazine. I like a lot of things about F1 2015. The controls are not one of them. Codemasters has a long history of excluding casual gamers. They also have a long history of excluding less skilled gamers. F1 2015 is sadly no different from that history. I hoped that working with Bandai Namco Games would have corrected that problem. Sadly it did not. F1 2015 is also lacking in modes. I wish there was more to do in this racing game personally. F1 2015 left me feeling like this game is overpriced. Why is it in Formula One Racing that they speed up, slow down, turn, speed up, slow down, turn, over and over again? We never get to feel the water on our racing helmets in F1 2015. It is green light, red light. Speaking of colors, what is with all the penalties? Did you see the game play video Family Friendly Gaming paid for and published of F1 2015? F1 2015 is such a frustrating video game. Less penalties and more ability to learn how to race would be nice. I so love the comments from the pit crew telling me I did all these things wrong. I didn't even know those were penalties. Unless you are a serious F1 racing fan, I say wait on F1 2015 until it comes down to ten dollars.